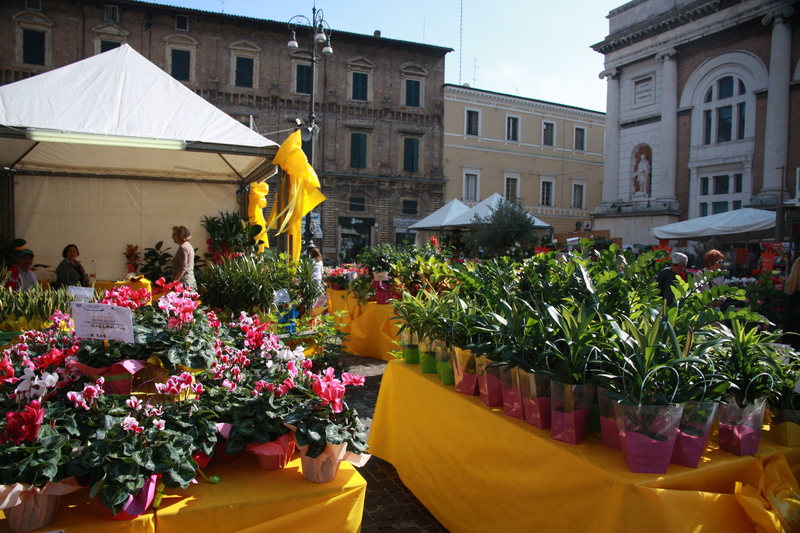 The annual flower market is back in Pesaro’s main piazza, and it’s filled with gorgeous flowers, plants and fruit trees. Among other delights for sale are banana trees, pomegranate trees, pear trees, lemon trees, clementine trees, olive trees, hot peppers, rosemary, myrtle, orchids and much more. 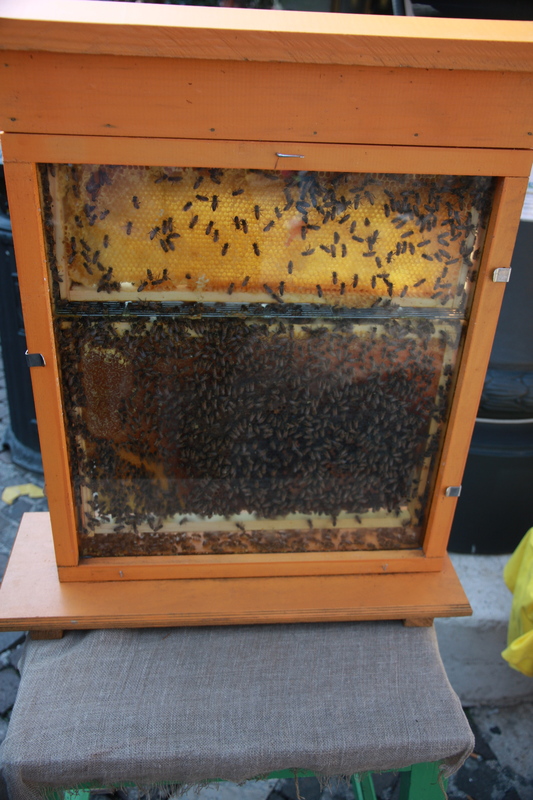 Plus, there are several stands selling fresh, local honey. 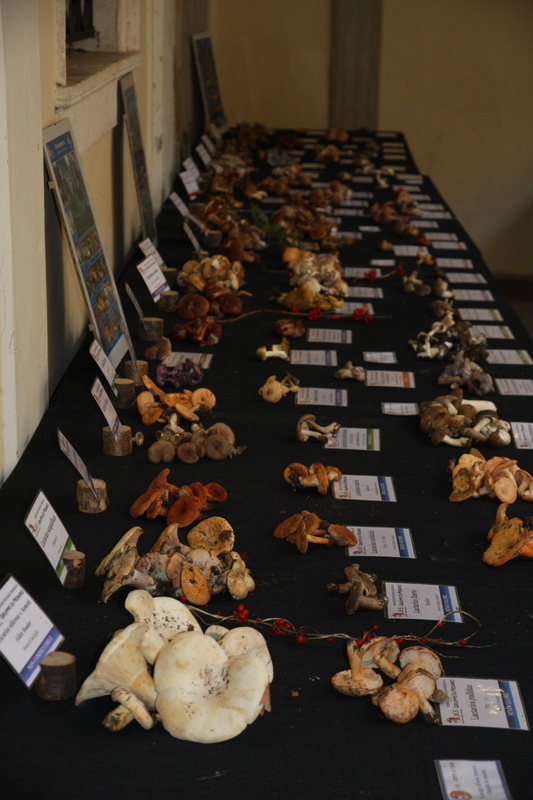 A local mushroom association is also displaying hundreds of species in the Palazzo Comunale. Autumn in Italy is pretty spectacular! September 29 is the feast day for St. Michael the Archangel—my husband’s “name day” or onomastico, in Italian. 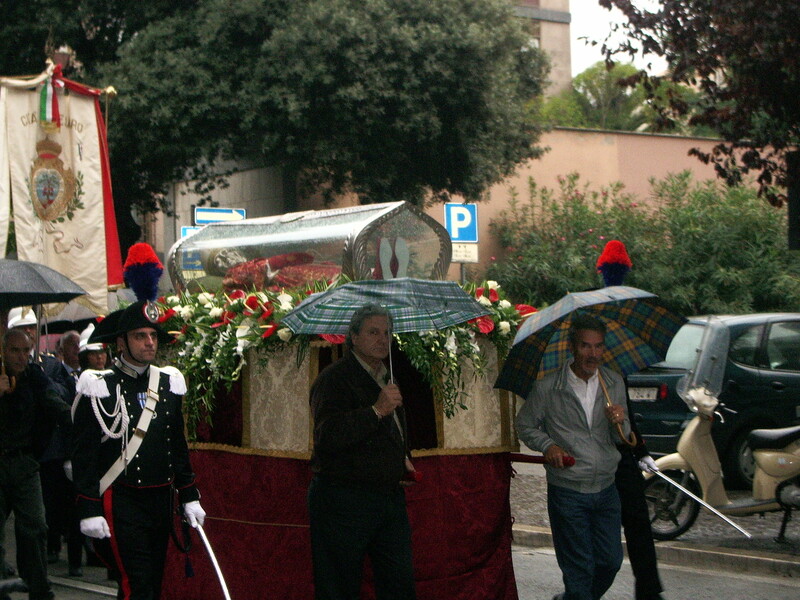 In Italy, people treat their onomastico as a second birthday celebration which is pretty cool. St. Laura’s feast day is October 19 so I’ll have to pop open some champagne in a few weeks. In Italy, the birthday girl (or guy) is supposed to pay for his/her own meal so drinks are on me. This morning, I took a walk to the water and some Jehovah’s Witnesses handed me a flyer called “Un vita familiare gioiosa” or a joyful family life. We’ve met quite a few Jehovah’s Witnesses in Pesaro, as well as Mormons and evangelical Christians. 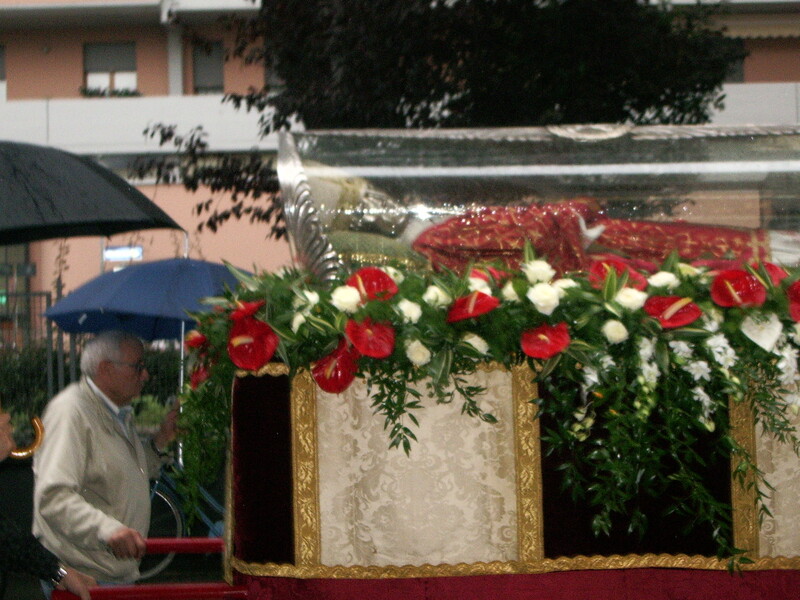 Pesaro is notoriously secular, but there are many different types of Christians as well as Muslims. It’s interesting to see the diversity of faiths because when we first arrived, I just assumed that I would only see Catholics in Pesaro. It depends where you go, of course, and there is still a strong Catholic community here, but it’s worth noting. 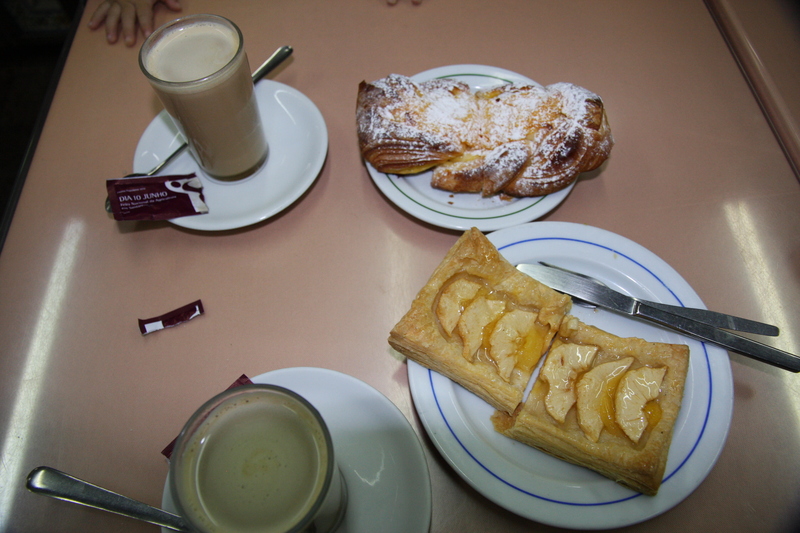 Finally, this morning I tried a new café in the centro which is difficult to do because I thought I’d been to all of them! 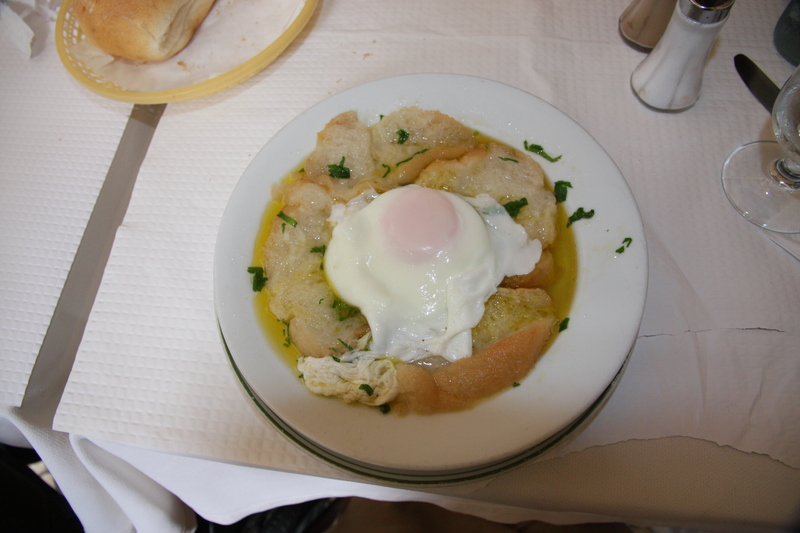 This café was located off Piazza Matteotti and was also a panetteria. 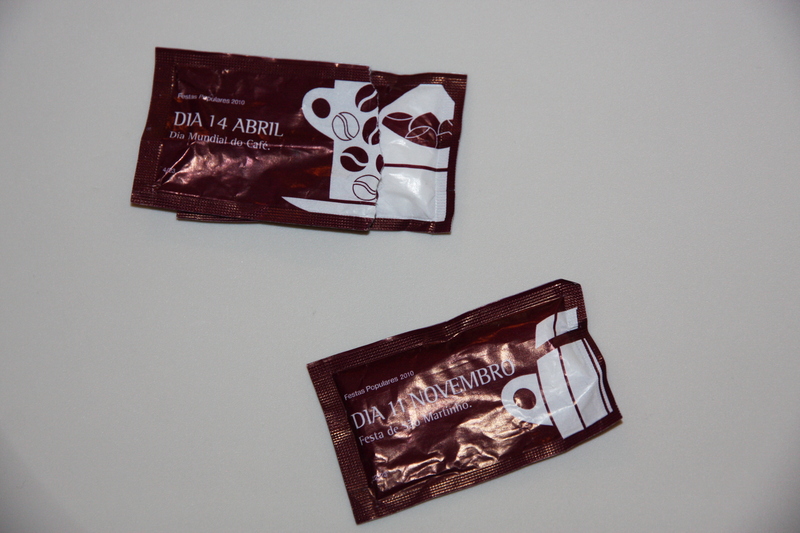 The espresso was from Filicori Zecchini coffee roasters. The cappuccino wasn’t the best I’ve had, but it was only 1.25 euros versus the usual price of 1.30 (last year, cappuccinos were 1.20 but prices have gone up). Soon, it will be back to bitterly flavored American cappuccinos so I’m taking advantage while we’re still here. I had a soy cappuccino today, a drink I haven’t ordered in years. I honestly felt like I was in Starbucks, and it almost seemed sacrilegious to order when a regular cappuccino is so delicious. But, I felt I had to try one in Italy. For awhile, I didn’t even know they were on the menu here, but it is a drink that some Italians order. 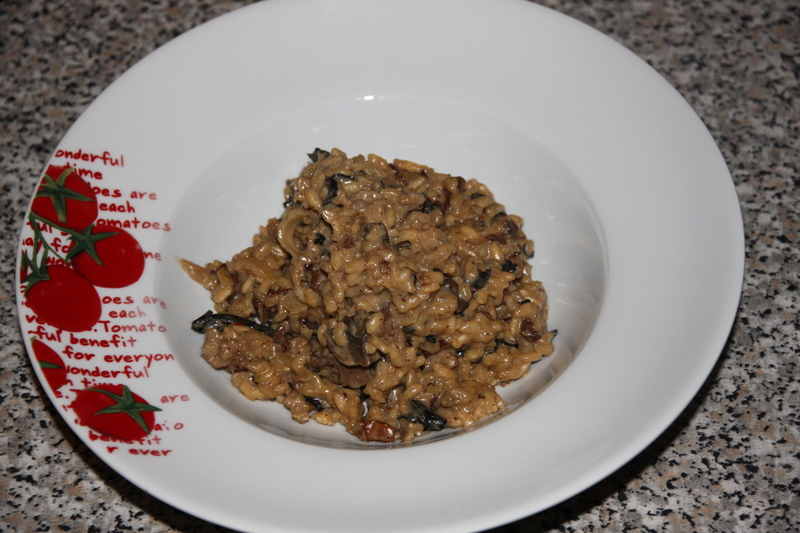 It tasted . . . like what I expected! I thought it might taste different because the espresso is better in Italy, but the strong, rather chalky taste of the soy milk overpowered the delicate flavor of the coffee. I’ll take a regular cappuccino any day, but it wasn’t a completely wasted experiment. I also got to eat a lovely chocolate croissant.